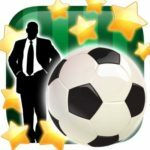 PES Club Manager is a soccer management game for Android and iOS devices, and not too long ago, we told you quite a bit about the game. But just so we can jog your memory a bit, this game comes with more than 5,000 real-life players and a slew of real-life teams, including some of the most popular, most celebrated teams in the world. 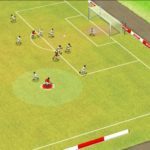 It’s not exactly Football Manager, but as far as mobile games go, it’s as in-depth and immersive as you can get. And since we realize it could be tough for some to sign up the best of the best, this new set of PES Club Manager tips and tricks deals with signing five-star players – just how can you go about this with little trouble? PES Coins are the game’s premium currency, and typically these coins can be purchased with your real-life money. However, there are other ways to earn them, including logging in everyday for the daily bonuses and completing certain achievements. 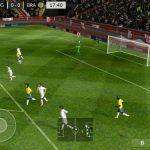 The News tab is another place where you can earn these coins – sometimes, you’ll be rewarded with free PES Coins simply by clicking on the News tab and following the instructions. Play regularly and you’ll have a better chance of earning more of these coins for free, coins you can spend on five-star players. This option will come into play if you spend your PES coins to scout for top-flight players. Choosing the “Scout x5” option will get you five players with a minimum of five stars; simply choosing “Scout x1” option will only get you players with a guaranteed four stars minimum. In the real world, you’d expect teams like Barcelona or Man UTD to have five “five-star” players at most, if not all basic positions save for goalkeeper. But as far as PES Club Manager is concerned, you wouldn’t want a team with a whole lot of five-star strikers, for instance, but only a few on defense or the midfield. Spread your five-star acquisitions across the lineup for best results. If your Scouting Agency in your My Town area is at Level 2 or higher, that’ll give you a much better chance of getting good players. Indeed, the marketplace is a great place to shop around and bid for good players, as this is a fairly new title and there aren’t too many people submitting their bids for the best of the best. As all players age rather quickly in PES Club Manager, you’ll want to try to keep your five-star players as young as possible. Don’t spring for someone in his early 30s or older with a five-star or better rating if you’ve got an opportunity to sign a similarly-rated player who’s in his 20s. Younger superstars are always better in PES Club Manager. 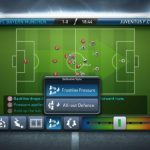 how to increase the team work pls on pes club manager?? can anyone help? I need my id number. My team was BV Marsdijk. In the middle of the season go and check for the possible replacements and put in the team!!! How I can do this: goes to the friend’s town? What I must do then when I come to the friend’s town? Must I press something or I don’t know..